Looking for the perfect retreat center in Hawaii, for your next getaway? After years of leading entrepreneurs on epic retreats that transform their lives and up-level their businesses, there’s one question I now receive over and over again: How do you find these phenomenal retreat centers—and what is it that sets them apart from the rest? It’s a loaded question. After all, I truly believe in the power of immersion retreats for total well-being, connection, and success. And the environment you choose to host your retreat plays a fundamental role in the overall outcome for your participants. So in response to this popular question, this month is all about featuring some of my favorite retreat centers in awe-inspiring locations around the world. If you’re an entrepreneur who wants to start hosting international retreats, I guarantee you’ll find an inspiring gem that resonates with you and your tribe. Or if you’re a travel + tourism business who is ready to start hosting more life-changing retreats, then this series will help you discover what sets these other top-notch facilities apart. To kick things off, today I’m sharing my top picks for the best retreat centers in Hawaii. Get ready for serious inspiration and wanderlust with these phenomenal Hawaiian properties in some of the most magical destinations on earth! 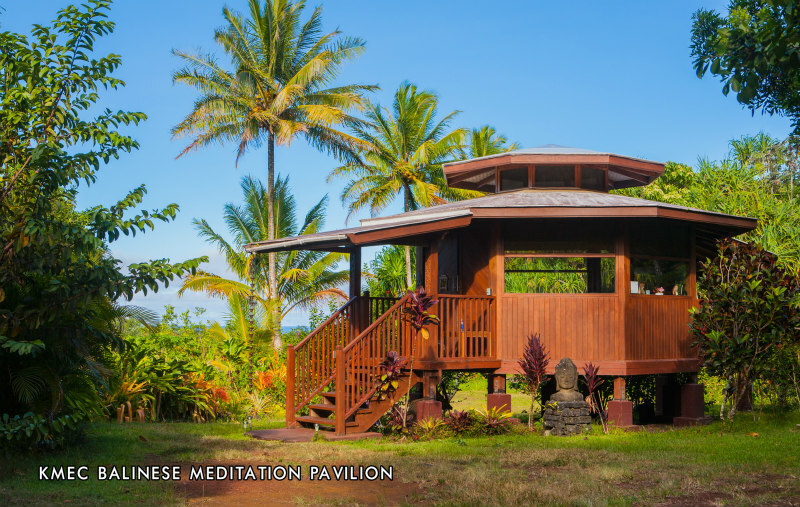 This uplifting yoga and meditation center is located in an organic, ocean-view orchard on the Big Island. Designed specifically with retreats in mind, KMEC goes above and beyond with its 1000 square foot Yoga Hale; custom-designed Balinese meditation/group-meeting pavilion; award-winning on-site chef; and full-service spa and massage room. The peaceful, healing ambiance of KMEC means plenty of opportunity for reflection, whether its while wandering the 11-acres of fruit trees and forest or going for a dip in a nearby thermal pool. For an adventure your group will long remember, take a day trip to the nearby Mauna Kea Volcano summit. KMEC offers special group pricing for group retreats and events of 10 to 30 people. Meeting spaces, equipment, and high-speed internet are included in all group bookings. What’s more, KMEC encourages retreat leaders to share their plans so that they can support you in your vision and co-collaborate. Know you want to incorporate Surf and Yoga, Meditation and Spirituality, Holistic Nutrition and Detox—but don’t know how to start? KMEC can help with that. Kirpal is one of the most stunning retreat centers in Hawaii! Can’t make it all the way to The Big Island for a scouting trip? 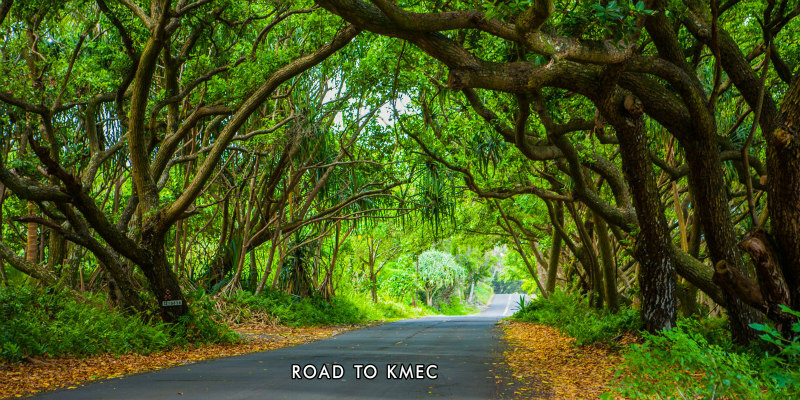 Take a virtual tour of KMEC here. Whether it’s your first or your fiftieth retreat, the Kirpal Meditation and Ecological Center is a fantastic choice for retreat centers in Hawaii. Learn more about booking a retreat at Kirpal Meditation and Ecological Center here. I know some of you reading this want to lead HUGE retreats. If that’s you, then Kalani is your answer. This retreat center on Big Island’s Puna Coast can lodge up to 125 guests! They even coordinate with a local B&B for overflow as needed. Kaolin also accepts group retreat bookings for 10 people, so don’t feel excluded if you are keeping things intimate. Rooms are double occupancy; food and workshop spaces are included in the group prices. Shuttles from the Hilo International Airport are a short ride away at a cost of $45 (if more than one person) and $65 for solo travelers. Kalani also features free Hawaiian culture classes, so you’re bound to leave Hawaii with a deeper understanding of its rich traditions and history. Kalani will co-market your workshop with a free workshop listing on their website (with more than 27,000 visitors each month), including your contact information. 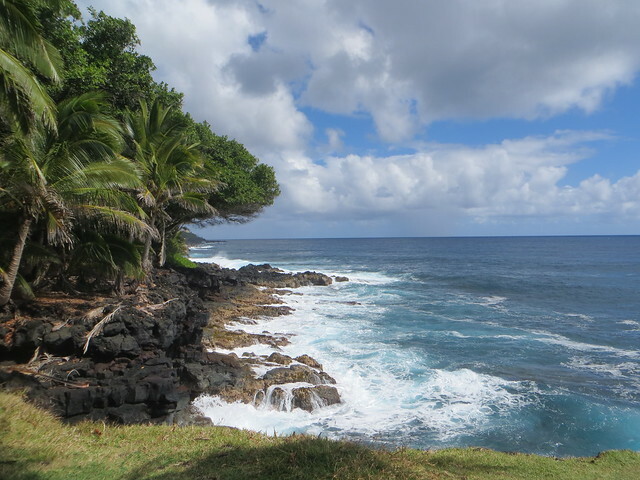 Learn more about hosting a retreat at Kalani, here. When most people think of Maui, it’s the touristy beach resorts that first come to mind. 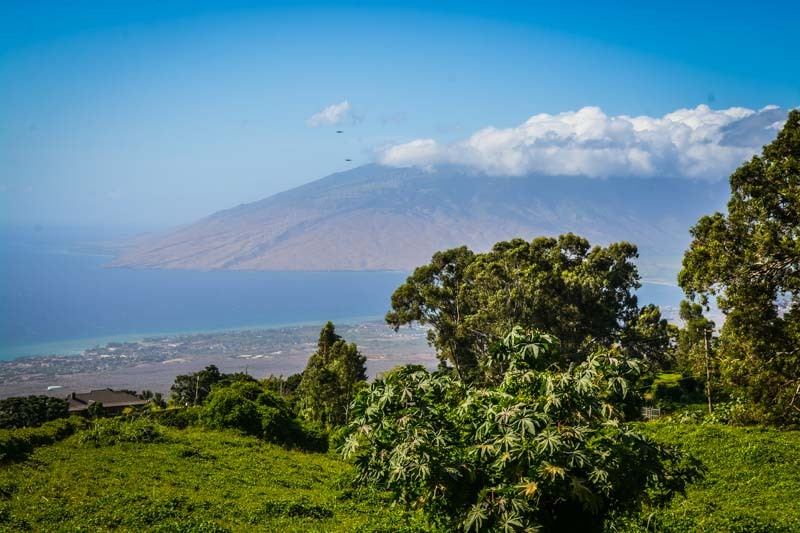 But head to Upcountry and you’ll discover an authentic, off-the-beaten-track side of Maui—where the fresh air and verdant countryside is ideal for serious rejuvenation and inspiration. It’s here that you’ll find the stunning Lumeria. Lumeria is primarily an educational center that, according to their website, “embraces the heritage and culture of Upcountry Maui to help you transform into your best self through mindful yoga and wellness retreat programming, well-appointed guest Maui accommodations, destination spa services, adventure and educational activities and garden-to-table sustainable food offerings.” In other words, it’s absolutely swoon-worthy. Lumeria boasts 24 individually designed guesthouses, making it an ideal option for mid-size groups. There is plenty of space for yoga, meditation, and workshops, and the on-site spa and restaurant means you’ll have all the necessary amenities for a true immersion experience. Want to infuse your retreat with adventure? Kayaking, ATV adventures, and paddle boarding are just a few of the group experiences on offer. Learn more about hosting a retreat at Lumeria here. You can’t go wrong leading an event in magical Hawaii. Great weather all year round, the healing energy of nature, and stunning retreat centers in Hawaii ensure you have what you need to put on a soul-stirring retreat. Lolia is a magical paradise situated on the more secluded, eastern shore of the Big Island of Hawaii. Given its off-the-grid location, Lolia is an ideal spot to practice the sacred art of yoga. Lolia has a large shala complete with yoga props and not-too-distant sounds of the ocean. It is an ideal spot to host a life-changing yoga teacher training or immersive retreat experience. There is enough space to accommodate large groups (up to 50) or small, intimate gatherings. The stellar location is only the tip of the iceberg — Lolia is also super affordable meaning retreat leaders can actually make a profit versus breaking even when hosting a retreat. The lodge offers 15 indoor cabins and 10 outdoor tents for accommodation and each structure is complete with two comfortable beds. Learn more about hosting your retreat at Lolia, here. Stay tuned for next week when I share my top-picks for hosting a retreat in one of my all-time favorite destinations: Costa Rica! What retreat centers in Hawaii would you recommend? What destinations would you like me to cover? Share your thoughts in the comments below! Need help with your travel marketing campaigns? Not sure how to book a group retreat? Contact me for help! P.S. I have no affiliate relationship with these retreat centers—I just love them so much and want to support YOU in planning the retreat your clients + Tribe will love. I appreciate your sharing. Truly these shared all destinations are the best for visit. I would like to way of talking. I have a good experience of Lumeria because I have been there during my Niagara falls tours from Edison, NY with my college friends for having enjoyment.